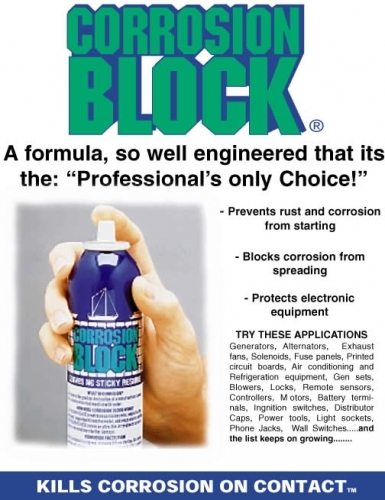 Notes And Updates: We recommend using Corrosion Block® rather than Di-electric grease to protect electrical connections.Corrosion Block® since it provides protection at the molecular level, rather than simply a physical barrier as Di-electric grease does. SMI replaced the SMI Braking system with the Stay 'N Play Duo and has expanded the model line to include the Air Force One for use on coaches that have air brakes on them. In addition the Delta Force is a compact box style system useful for RVers that want virtually no installation and for those that tow more than one vehicle at various times. Over the last year, I have seen some products that are designed to make our RV life simpler and safer. Since our firm has become a dealer and designer of some of these products I am going to take the liberty to talk about a few in the next two or three Technical Tips. We are always looking for products that lead the way in their market and looking for suggestions for items you would like but cannot find. I will have more about this in the next issue. About three years ago I had a Bounder owner say to me: "Bob, I like the SMI system. It makes sense to use the power brake in the Toad, however when you can give me a tow brake system that all I need to do is flip a switch to tow, with no box to install and remove, then I will buy it.” Last September before the Fall Rally he not only bought and had the system installed, he has been an avid supporter of the system ever since. The SMI Vacuum Tow Brake System was invented by a Bounder owner who asked "If all cars have power brakes and most are vacuum operated, why can't we supply vacuum to the brake booster and lightly apply the brake pedal just like we do when driving?" He designed a system that does just that. The newest system, the Stay-IN-Play goes many steps further. It is completely installed in the Toad. This small system (about the size of this page and 3" high) typically mounts under the seat in the Toad A small "Cell phone" sized vacuum cylinder is attached, up out of the way, on the brake pedal arm above the brake pedal rubber pad. When you are ready to tow you simply flip a switch to turn it on, press the test button and drive away. The system requires two signals to activate First it monitors the existing tow vehicle brake wiring for a brake signal and then the G-force controller decides to activate the Toad brake, based on the level of brake forces present. When the brake pedal moves enough to activate the Toad brake lights, a monitor box that plugs into the power outlet in the Bounder informs you of this. It is important to know that this monitor is confirming Braking not just Box activation. Should the tow car "Break-away" then the monitor will light to let you know. If the light is on for more than 15 seconds a tone alarm will sound to let you know your Toad Brakes Are ON. For those that are interested there is a vacuum connection "T" and check valve installed in the rubber power brake booster line. The power is directly connected to the Toad battery for positive power regardless of key position. The system supplies vacuum to the power brake booster and not only applies the pedal, but also pulls the pedal off. There is virtually no way that the brakes can be on unless you are braking or have a break-away. This system takes between 2 and 3 hours to install and usually all the equipment is hidden from view. Many owners install the system themselves using the complete instructions are included with the system. A 1-800 telephone number is available for assistance. 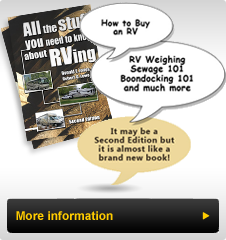 On the most popular Toads that many Rv'ers owners tow the installation is very straightforward.